Gianeen Almaria is a first-year student at UCI pursuing a double major in Computer Game Science and Art. She's been following esports for as long as she can remember, and continues to avidly follow the growing competitive scene among all games. 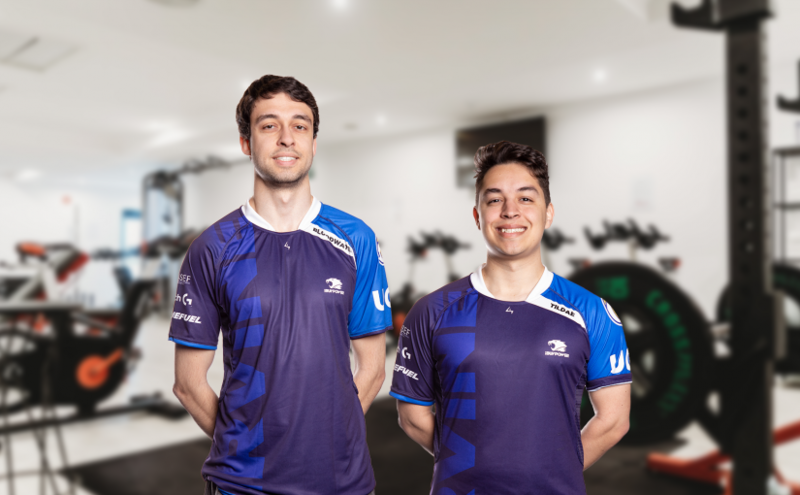 In this follow up on the UCI Esports Fitness Program series, we had the opportunity to sit down with both Brenden “tildae” Alvarez (pictured, right) and Lyubomir “Bloodwater” Spasov (pictured, left). Brenden is currently a fourth year at UCI who plays Flex Tank on the Overwatch scholarship team. While Brenden played soccer prior to graduating high school, he did not have a solid workout plan coming to UCI. While on the Overwatch team, he was offered a place in the fitness program and was more than excited to get into it. Lyubomir is a fifth year at UCI who plays Support on the League of Legends scholarship team. As a player who has always been passionate about fitness, he strongly advocates for its wide range of benefits. Both players have come to embrace fitness in their lives, both within and outside the fitness program. Here’s what they’ve got to say! Q: What was your initial reaction to being offered a place in the fitness program? BA: I was very excited. I actually wanted to start getting into fitness and going to the gym, when I started college, but I could never find time for it because I was always very nervous. It’s a whole different culture. I was never a part of it. I was scared! But then having the trainer show me the ropes and tell me what to do and help me work on form and all that- it was very helpful. I’m very happy with the program. LA: I’m a big advocate for [fitness]. I’m a big supporter. I’ve been a runner most of my life. I’ve done a lot of biking throughout my life. My brother and I would wake up at like 4:00 in the morning in high school, and we would go biking for thirty miles, and it would take us about a total of two hours. We would go from one city to another via the city trail. It was really fun because I would just listen to music, and be really in the zone and pumped up. I loved it. And when I would get home, I would feel so invigorated, so energized. And then I would go to class and be like, “Hell yeah, I’m ready to learn!” [laughs] “Hit me with the knowledge!” But yeah, definitely, I really am. If I could choose a drug in the world, it would be adrenaline. So that’s also why I transitioned to calisthenics and I enjoy doing calisthenics because you’re forcing your muscles to work under fatigue, and you’re doing that at a very constant rate, so you’re not resting too much, and you’re doing exercises back-to-back-to-back, and your body’s just like, “Aw, man, you’re killing me!” And you just gotta keep pushing, and you get that high, endorphins start kicking in, adrenaline starts coming up, and it just feels amazing. I love it. I could talk about it all day probably! Q: What part of the fitness program do you think is most beneficial to you personally? What do you like to take out of it? Honestly, it’s like, one of my favorite parts of the program. It pretty much got me into fitness, and [my current roommates] also got into fitness, so now we pretty much do our own thing. But I still do the program with Haylesh [Patel] as well. So it was kind of a good gateway into fitness! LS: For me, the fitness program- it means a lot to me. For me it helps me prove to myself that I can get through certain mental roadblocks in my head, whether it is physically or mentally, and it’s very motivating when it comes to playing League of Legends as well, as well as other mental challenges in the real world, because it basically… uhm, from the physical exercises, it teaches me that I can actually get through those challenges as long as I push hard enough, and remain persistent, and keep giving it as much effort as I can. Q: Do you think that this is something that should definitely be implemented along all professional teams? LS: I definitely think so. Staying physically fit has increased my performance mentally, psychologically. To me it proved to me that I can get past those mental roadblocks. If I’m struggling in the game, with something, like my laning phase, or something that I’m not doing that well, and it’s a consistent problem, I’m able to remind myself, “Hey, it’s just a roadblock, I can get through it, I just need to work towards it, and soon I’ll get through it.” So this is the lesson that challenging myself while working out has taught me, and I’m very thankful for challenging myself while working out. Because it does teach you a lot at the end of the day, it’s not just a confidence booster, it’s not just to look good, it’s also about psychological health, which is really really important nowadays. Q: Have you ever been personally subjected to stereotypes? Like when you tell people, “yeah, I play for the scholarship team here for Overwatch.” Do you ever get weird looks from anyone? BA: Not really, to be honest. [pauses] Okay, well, I surround myself with gamers, so that’s kind of the thing. And even my friends who aren’t gamers have been friends with me for a very long time, so when I told them I was a part of this esports program, they were very surprised. “Oh, that’s very cool, I didn’t know they had that.” Some of them were like “I wish I could do that, but I’m not much of a gamer.” And when I tell Uber or Lyft drivers about it they’re usually just surprised and curious about it, and they ask questions. I haven’t really gotten that negative stereotype. I understand that, locally, I’m surrounded by a really open community, and I’m very lucky to have that. LS: I have a feeling this is involved with a certain stereotype of gamers? [laughs] It’s totally a valid question. I have gotten a few comments that, “Hey, that’s really cool that you’re on the UCI Esports team,” and interests. I don’t think that it’s very unique but I am thankful to be in the position that I am. On February 12th, Activision-Blizzard held its quarterly earnings report wherein CEO Bobby Kotick joined in to tell shareholders the great news of a “record year” at one point, then later dropped the bombshell that they would be reducing their workforce by 8%. For a company that had approximately 9,600 employees in 2018, this means they recently laid off likely close to 800 workers, with more than a quarter of that at legendary local game development studio Blizzard Entertainment according to the California Employment Development Department (as reported by Variety). The largest departments cut were IT, then Marketing and Live Experiences, followed by a global insight department. If you love watching the Overwatch League, maxing CPM in Starcraft II, dropping cards in Hearthstone, defeating bosses in World of Warcraft, warring in the Nexus or banishing Diablo back to the Burning Hells, some of the people who contributed to the development and support of those interactive masterpieces are no longer working at Blizzard. Massive layoffs are notorious for happening without warning. There are (at least) two strongly opposed perspectives as to the pros and cons of this. One of these perspectives can be compactly examined via the website of Game Workers Unite (GWU), one apropos source of the pro-labor side. The other (pro-business) side, unless one has experience (or access to people) in positions of upper management or business ownership, can be more complex or difficult to relate to for most. For example, imagine if it were your job to decide the answer to these two tough questions: with Blizzard set to release no new titles in 2019 nor hold its annual set of global “Heroes of the Storm” championship tournaments, what work is there to do for those hundreds of employees? What amount of reorganization or retraining would be viable and good business? Cuts hurt, but not cutting can be worse in the long run. When many think “labor unions” and what gave rise to them in modern America, what images come to mind? Soot-covered faces, mine cave-ins, and crippling accidents with limbs caught in machinery may be common responses. With the Industrial Revolution long in the rear-view mirror, the mental picture of unions needs updating. As U.S. child labor laws first passed in Congress 101 years ago, and manufacturing as a major middle class industry has been declining since the 1990s, so too has the outcry for unionization largely dissipated into a faint echo of the distant past. But despite far more humane working conditions today, it remains true that only through unionizing can strong collective bargaining agreements (CBAs) come into existence. CBAs are a uniquely powerful tool to help level the massive power imbalance between employers and employees. One single worker fed-up with terrible working conditions (e.g., not being able to spend any quality time with their family, physical and mental illness from stress and exhaustion) threatening to not go to work is similar to a small ripple in a pond trying to tip over a rowboat. But if their demands for better treatment are not met, unions can threaten to strike en masse, and such a threat is like a tidal wave swelling to flip over that same rowboat. Thus CBAs give workers leverage to negotiate for protections against employers to defend themselves against the worst sides of the industry: onerous crunches (working 10-16 hour days for weeks or months, possibly without overtime pay if salaried) or massive layoffs without guaranteed warnings, severance, retraining, or resume and interview training to find new jobs. On a related and positive note, massive credit to Blizzard for having a Career Crossroads program that offers much of these, softening the blow and rate of terminations–such a thing is rarely heard of (in any industry), perhaps due to its volitional existence. Founded in 1955, the American Federation of Labor and Congress of Industrial Organizations (AFL-CIO), representing more than 12 million workers in the United States across more than 50 labor unions, recently published an open letter through Kotaku in support of unionizing game workers shortly after the major layoffs at Activision-Blizzard. This was the first major public statement they have ever made about the topic. But no single thing is a panacea for all ills. You can read about 13 Advantages and Disadvantages of Labor Unions here–spoiler alert, the article lists one more disadvantage than advantages. Past and present extensively covered, we will look to thoughts about the future (and other things) from outspoken gamer, writer, and ex-NFL player Chris Kluwe in my next article. Those impacted by the layoffs at Blizzard, Arenanet, and others can find a depth of empathy, solace, and reasons to hope in the 14 years of perspective from Christine Brownell, who knows exactly what it’s like. Deppe (left) and Steinkeuhler (right) begin their SXSW panel. Deppe and Steinkuehler’s panel centered on preparing high school students for the esports industry, not only as players but in other roles such as analysts, journalists, game developers, engineers, and so on. 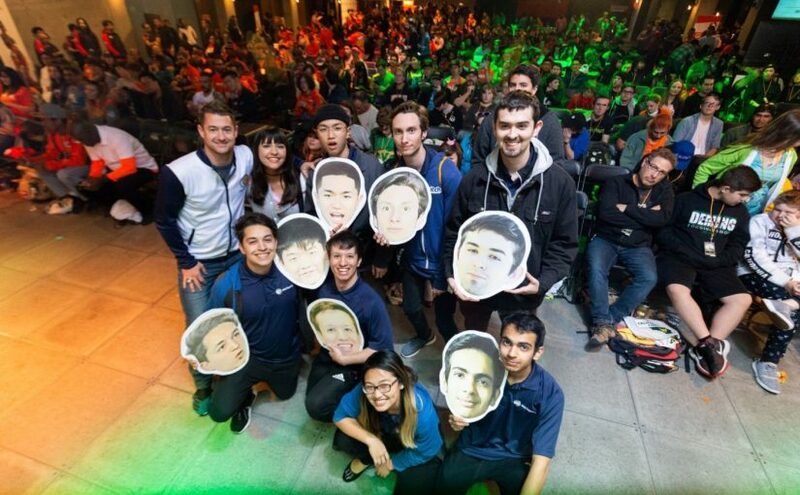 The success of the UCI Esports collegiate team was used as a model for how these high school esports organizations could function and help prepare young students for roles in esports that suit their interests. Since esports teams and the events they partake in are not solely run by players, the goal of the scholastic esports pipeline should be to prepare students to take on crucial roles that interest them. One slide of the presentation highlighted this clearly by analyzing the reality of physical sports such as hockey — even though there are only twenty players on the ice at an Anaheim Ducks game, there are a thousand different employees working at the venue in some capacity to make sure game day runs smoothly. Beyond preparing students for roles in the esports industry, the panel also discussed how games function as learning tools. The second segment of the presentation focused on the various ways games develop students’ cognitive ability: by improving their visual acuity, increasing their problem solving skills, accelerating their literacy and language learning, and more. Steinkuehler and Deppe furthered the connection between esports and student learning by arguing that high school sports have been shown to aid students in their pursuit of education, as participation in sports is often associated with higher GPAs and higher degree completion. Likewise, the benefits of esports on a high school campus would be plentiful, as students would participate in an environment that stimulates their cognitive abilities while also encouraging the same attitudes as physical sports. Steinkuehler explains her research on games and education. The third part of the presentation explored NASEF and its mission to support high school clubs and esports organizations in order to foster the aforementioned learning environments and encourage students interested in the industry. The panel went in-depth into the NASEF state-approved high school curriculum, designed to connect students to STEM, humanities and language, career pathways, social and emotional learning, and school affiliation. NASEF’s model achieves this by providing a network of mentors (teacher GMs, online coaches, industry and higher education pros) providing camps for underrepresented groups and clubs (such as UCI Esports’ own summer camps) and allowing events to be run by both coaches and students. 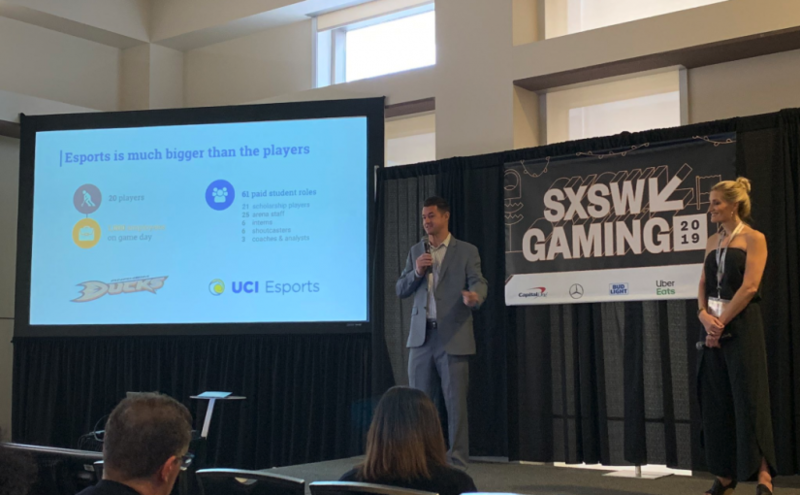 Deppe and Steinkuehler’s talk at SXSW discussed the importance of high school and collegiate esports organizations and how UCI Esports and NASEF could serve as a model for these new groups. UCI Esports offers dozens of student jobs and prepares both these students and their scholarship players for careers in esports and the broader games industry. Esports teams and related clubs on campus also foster a greater connection between the student and their school, and games can be employed as a creative learning tool. NASEF’s mission statement is “to provide opportunities for ALL students to use esports as a platform to acquire critical communication, collaboration, and problem-solving skills needed to thrive in work and in life.” By supporting groups on high school campuses, NASEF hopes to encourage students interested in esports as the industry continues to soar towards greater heights. 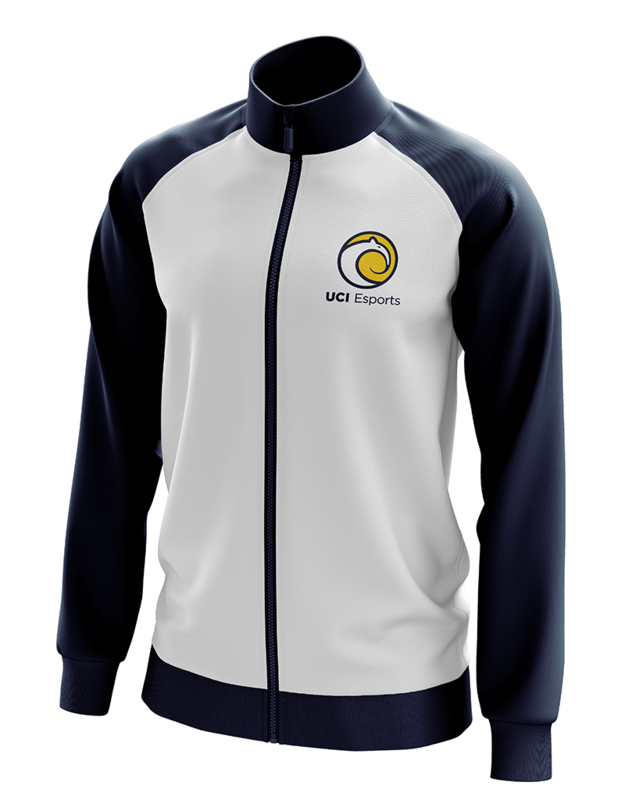 UCI Esports’ New Jerseys Revealed! As our scholarship teams enter playoffs, we are excited to unveil our new jerseys for the current season. The new 2019 jerseys feature two variants – one for home games and one for away. Design efforts were headed by our Digital Marketing Intern, Nick Gasparyan, with support from fellow intern Allison Le (League of Legends and graphic design team manager) and design help from Dishanth Shankar Reddy (student graphic designer). Together, Nick and Allison brainstormed ideas for the new jersey using a Pinterest board to correlate ideas, taking inspiration from other esports jerseys and experimenting color swatches. These ideas were then passed around to multiple people and some minor alterations were made – most notably from the input of Sebastian “Selectt” Vasquez, UCI Esport’s very own Overwatch scholarship team player. At the end of the brainstorming process, all was taken to Dishanth, who then brought the initial designs and their variations to the drawing board. In an interview with Nick, he revealed that he wanted to create a new jersey that was “cool, innovative, and different”. He noted that as of now, there are few jersey companies that specifically cater towards esports collegiate programs. As a result, there is little room for more innovative designs to be produced by the companies themselves. Seeking to alter this trend, Nick decided to take action to move UCI Esports in a direction that would make us stand out from the rest. 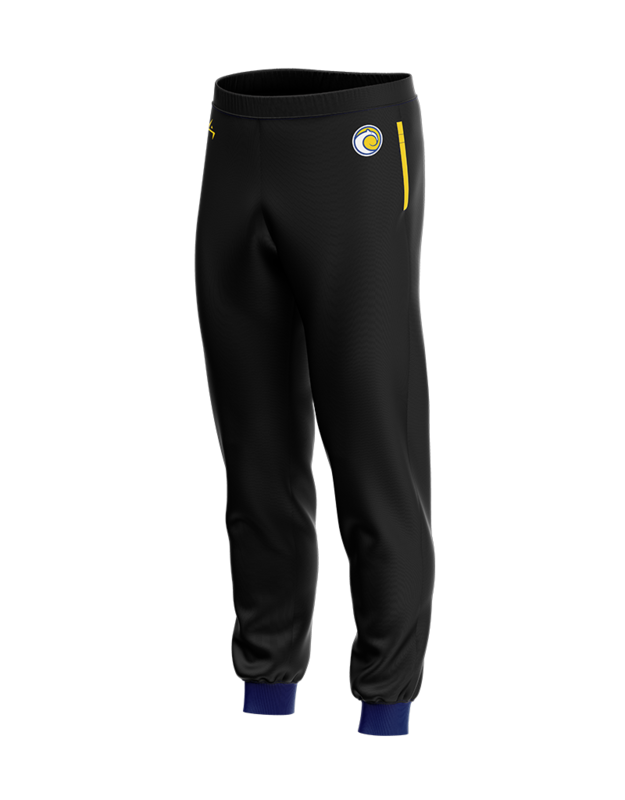 One of the main issues Nick encountered was the actual rendering of the jersey design onto a feasible print file. As a solution, he worked with Archon Clothing (our current jersey sponsor) to bring the designs to life. 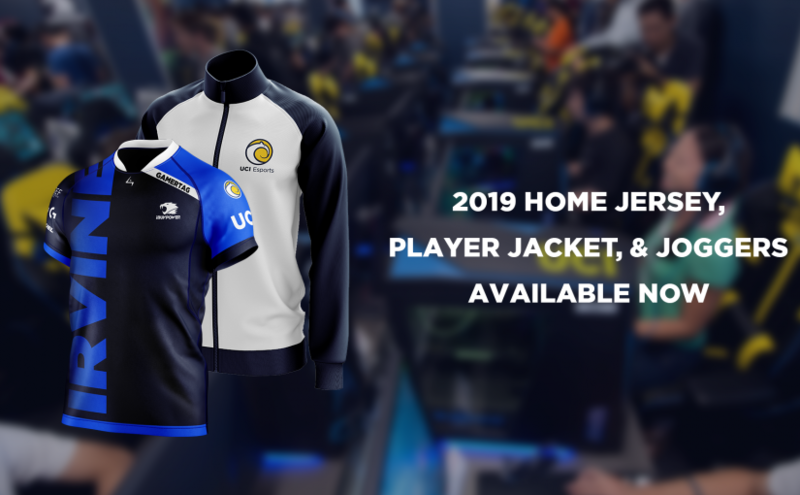 Next time you visit the UCI Esports Arena, be sure to check out the jersey wall and see for yourself how the designs have transformed over the years. You might even see the newest design being sported by our very own scholarship teams! We are excited to bring back our Youth Summer Camps for this upcoming summer! Our camps are fun and educational events in which campers will receive in-depth knowledge about the esports industry or how to improve their gameplay. Our target audience consists of high school students in their junior or senior years interested in pursuing a career in the ever-expanding esports industry. However, we still encourage anyone who is interested to apply, as we may make exceptions based on qualifications and circumstances. There will be three summer programs in total, each with a specific focus in mind: Girls in Gaming Camp, League of Legends Bootcamp, and Overwatch Bootcamp. The Girls in Gaming Camp was created for young women who have a strong passion for gaming and will explore a variety of gaming-related topics such as streaming, game development, competition, and more! We will be joined by guest experts from all across the gaming scene to share their own story and insight – with a focus on professional women and their day to day lives in the currently male dominated industry. This is a day camp run from Monday through Friday with unique talks and activities planned for each day in our very own esports arena. Both of these camps are geared towards players who hope to play at the collegiate or professional level. They will be led by our UCI Esports scholarship players and coaching staff. Campers will not only receive strategic coaching throughout the duration of the camp, but they will also have the opportunity to learn about team play, communication, and VOD review at a professional standard. If you want to take your game to the next level, this is the place to start! Unlike the Girls in Gaming camp, our bootcamps are a 7-day overnight program that comes with on-campus housing, meals, and unlimited access to our esports arena. Applications are open TODAY in our Camps section! Camp prices and deadlines are located on each camp’s page. You can also reference our schedules from past camps. As the dates draw closer, stay on the lookout for future updates as we finish inviting this year’s guests and developing the 2019 curriculum. In a recent article we touched upon UCI Esport’s fitness program as part of a series on how our scholarship players use the program to stay fit and active. Here, we will explore the program in depth and learn exactly how it is run! 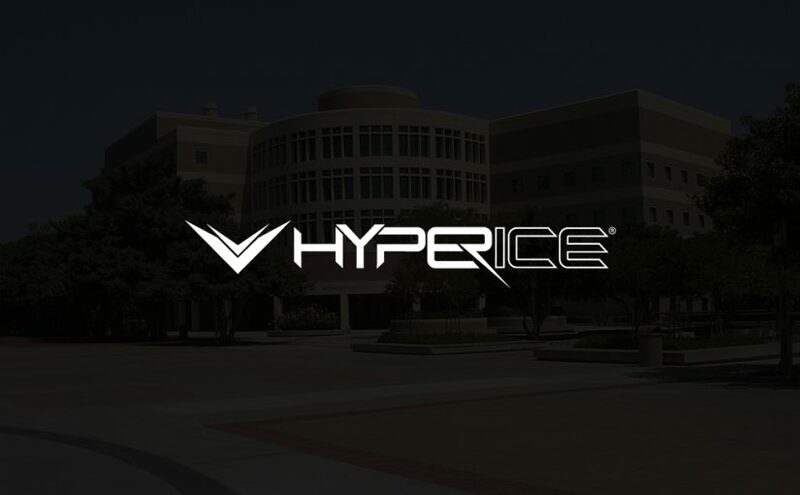 Haylesh Patel, the man behind the UCI Esports fitness program, was kind enough to give us the inside scoop on what his role entails and how he helps our scholarship players achieve their fitness goals! Originally from New Zealand, Patel studied at the University of Auckland and holds a Masters in Exercise Science. He is also a Registered Clinical Exercise Physiologist with the American College of Sports Medicine and currently works in the Cardiac Rehabilitation department at Hoag Hospital. Beyond his duties at Hoag, he also works for UCI Campus Recreation at the Anteater Recreation Center (ARC), functioning as a personal trainer for staff and students. To round it all off, Patel is also the UCI Esports scholarship teams’ designated Exercise Physiologist. Based on his current set of occupations alone, it is clear that Patel works with a wide variety of people and has great experience in doing so. We inquired how Patel and his fitness program cater specifically to scholarship esports players. Due to their practice hours and the strain on certain muscles during gaming, scholarship players requires careful attention. “The last thing we want to do is overload the players and place any undue stress and strain on their muscles and joints,” Patel notes. In order to avoid overexertion, the practice hours of the players are constantly monitored throughout the year. Their workouts are then adjusted based on their current physical state. According to Patel, “the scholarship players must balance school, gaming, and other personal commitments in order to be successful in all aspects”. With this in mind, he has crafted a specialized health and wellness program for them – both manageable and effective. “We are using a holistic approach to health and wellness with a heavy emphasis on strength and conditioning specific to improving their physical fitness and trying to enhance cognition,” says Patel. Among the scholarship players, there is already a rift between their current statuses in physical fitness (referencing aerobic fitness and strength in particular). While some players partake in regular exercise, others were unfamiliar with it. Patel notes that this renders prescribing exercise routines a little tricky. Even so, he works hard to craft both challenging yet doable workouts for each individual player. Every week, the scholarship players (in groups of 2-3) meet directly with Patel at the local gym. From there, they first workout altogether under Patel’s guidance, averaging from an hour to an hour and a half. In addition to working out together, each player has their own individualized exercise program to carry out by themselves between meetups. This allows Patel to help players on a more personal level. These individualized exercise programs are personalized to what the player in question wants to improve on – whether it be weight loss, building muscle, or even stress relief. Based on their preferences, Patel creates a regimen and works closely with the players to ensure success in achieving their goals. In addition, he also provides for other aspects of health, such as sleep and nutrition, by providing tools and resources for the players to use in their daily lives. While the fitness program is by no means mandatory for the scholarship players, many have chosen to take advantage of Patel’s professional expertise. This concludes this week’s Fitness Program series. Up next, we will be featuring interviews with two scholarship players and will go into depth on their own fitness journey, and how the program has impacted their lives! Interview by Gianeen Almaria and Nathan Dhami.